I’d been trying to work on some Zennie projects, but it was so dang hot that by 8am it was already too much for me. And work goes slowly doing 2 hours a day! Road trip theme: Chill out! My major goal was to escape the heat and get into the mountains. 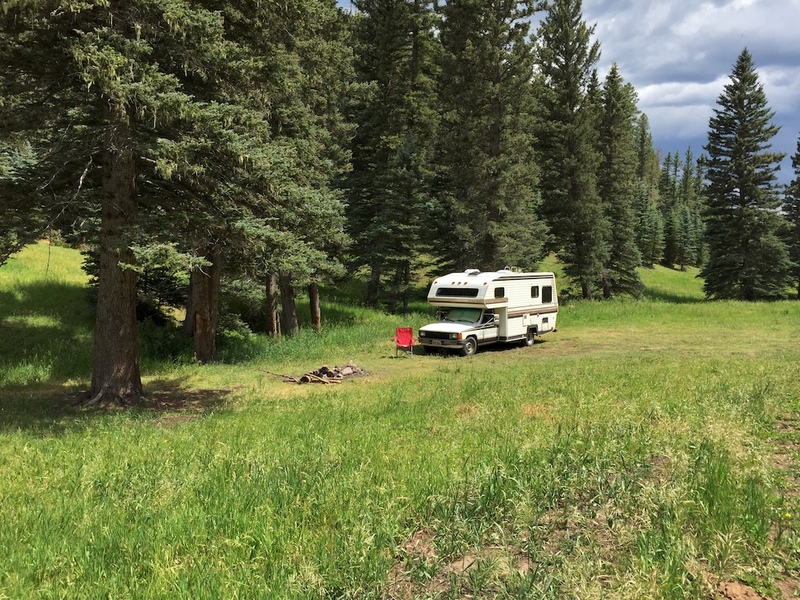 This is the advantage of having a mobile lifestyle — the chance to go wherever the weather is good, rather than having to endure a place you’d rather not be. You can work WITH the weather, turning it to your advantage. High Colorado mountains in the summer, sunny Arizona deserts in the winter. Living in Zennie means I can travel with the seasons, like migratory tribes of days gone by. But any smart migratory tribes would have been long gone 😉 and it was time for me to get moving! 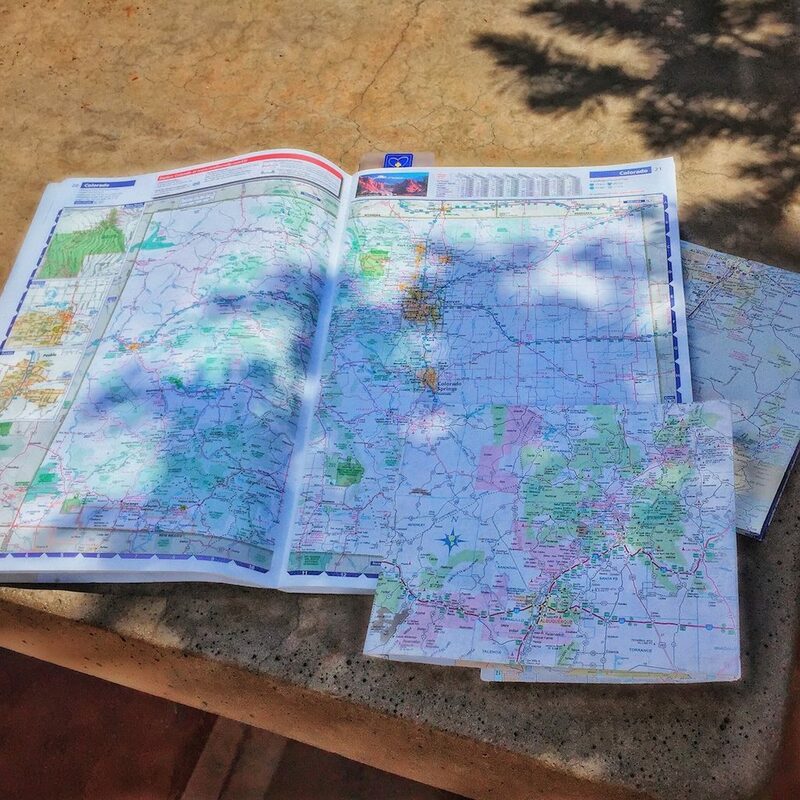 Looking at maps – one of my favorite activities! I pored over maps (one of my favorite things to do! ), and decided to head east to New Mexico. I thought maybe a couple of weeks around Ruidoso and Cloudcroft would make a nice Summer Chill-Out getaway. I got off track almost immediately, detouring up to Taos to meet a friend. Other detours took me to Pagosa Springs and Durango to meet friends, and up to Wyoming for the solar eclipse. Detours or not, for most of this road trip, the “Chill-out” theme worked well. I meandered through the mountains of New Mexico, Colorado, and Wyoming, enjoying spectacular scenery and nice cool temperatures. The days were delightful! 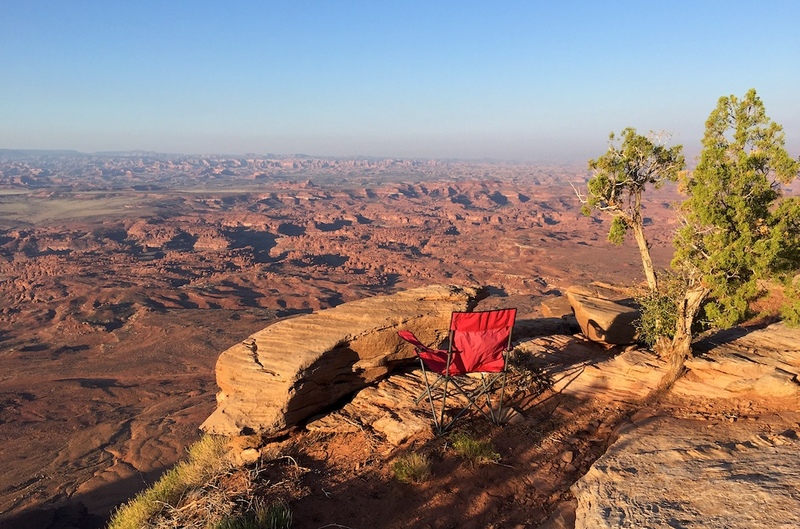 BUT… At that point in 2017, there was a lot of news about Bears Ears National Monument being on the chopping block. People said that the Trump administration would probably decide to eliminate it or scale it way back. So, I decided I had to go there IMMEDIATELY! As you can see from the map, this is a meandering route, which bears little resemblance to a path somebody would plan for getting from one place to another! I was really playing it by ear, deciding week by week and day by day where to go next. This is my favorite way to travel, staying open to opportunities, and making last-minute decisions. 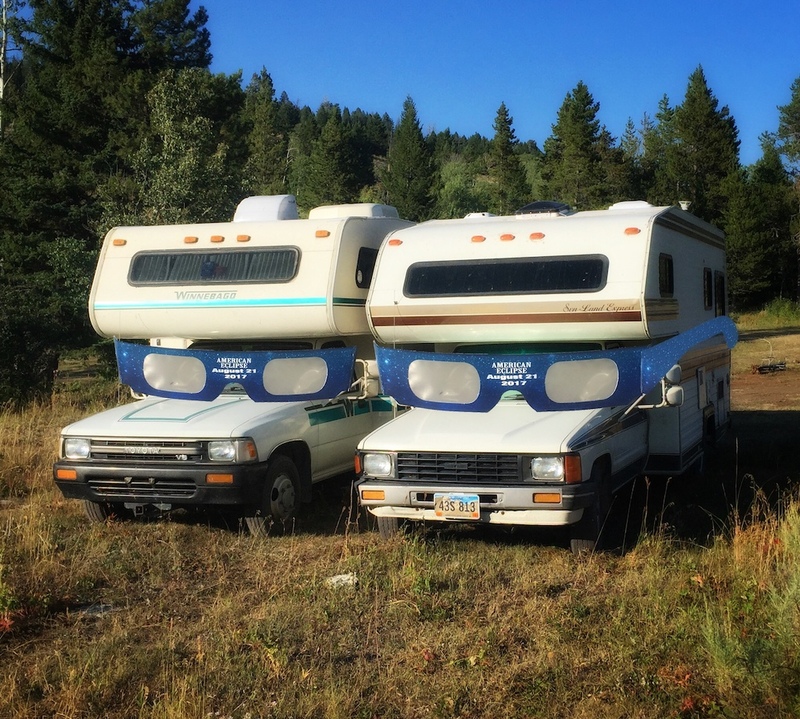 It’s a lot of fun, but nobody would say it’s an efficient way to cover the miles! Total eclipse at the Tetons. The total solar eclipse of 2017 was in many people’s travel plans this summer, as it traveled all the way across the United States. Folks from around the country flocked to places in the “Zone of totality” for the event. I tried to resist. I had this sinking feeling that I’d drive all the way from southern Colorado up into Wyoming to see the eclipse, only to find that it was raining that day and we couldn’t see a thing. Eventually, I decided to go anyway, though my expectations were low. Was I ever wrong!! 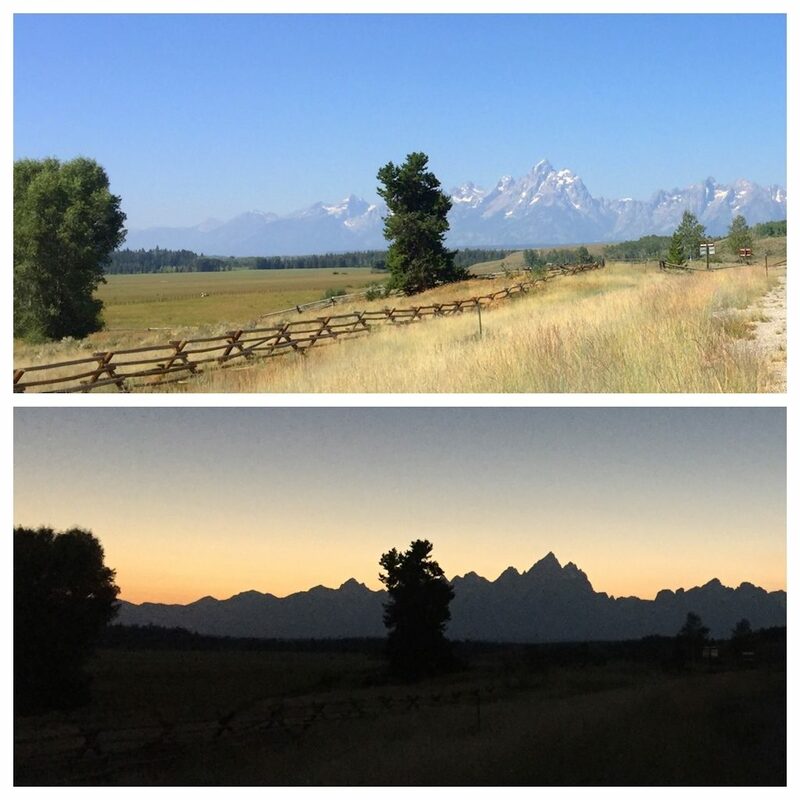 Our location right outside Grand Teton National Park provided a spectacular backdrop, and the eclipse itself was amazing! It’s one of the most memorable events I’ve seen. Zennie and her friend George got in on the eclipse action, too! 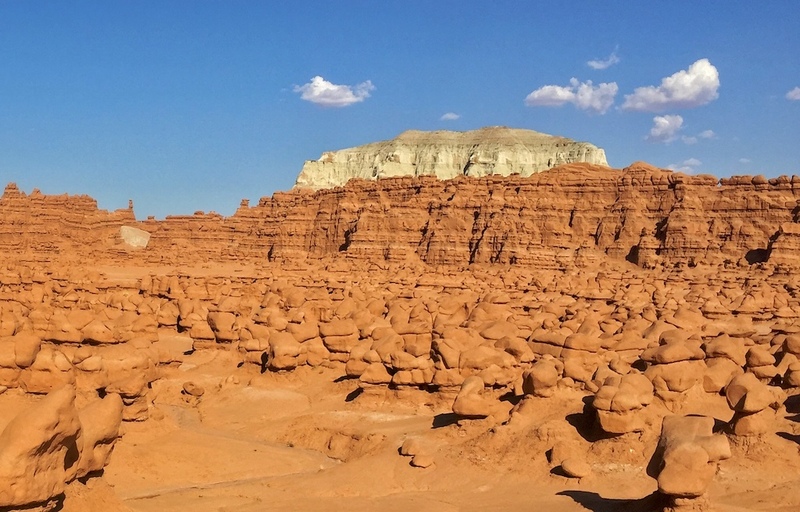 Anyway, both of these areas feature beautiful twisty canyons, incredible rock formations with spires and bridges, and amazing hiking (as you might imagine)! 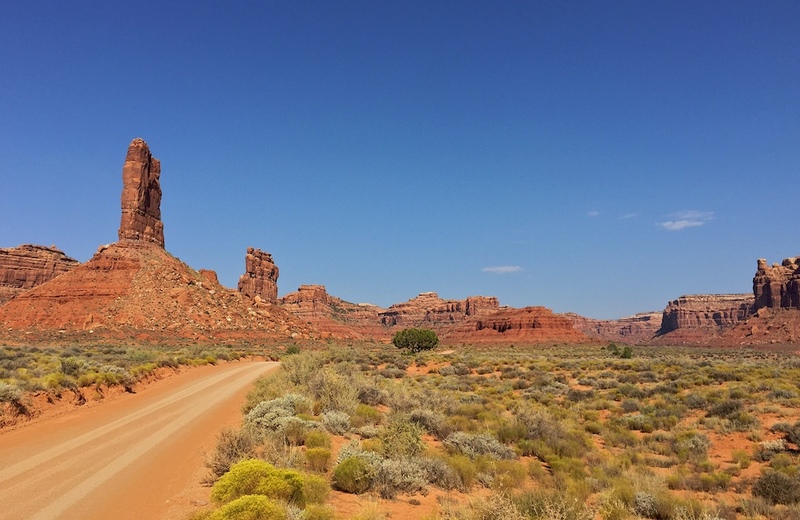 Bears Ears also has a wealth of historic sites with ancient ruins and cliff dwellings. A month in New Mexico. Before I started hightailing it north to meet friends in Colorado, I was just meandering for a month around New Mexico. I started in the Gila area in the southwest corner, and went all the way to a ghost town with family ties in the northeast. 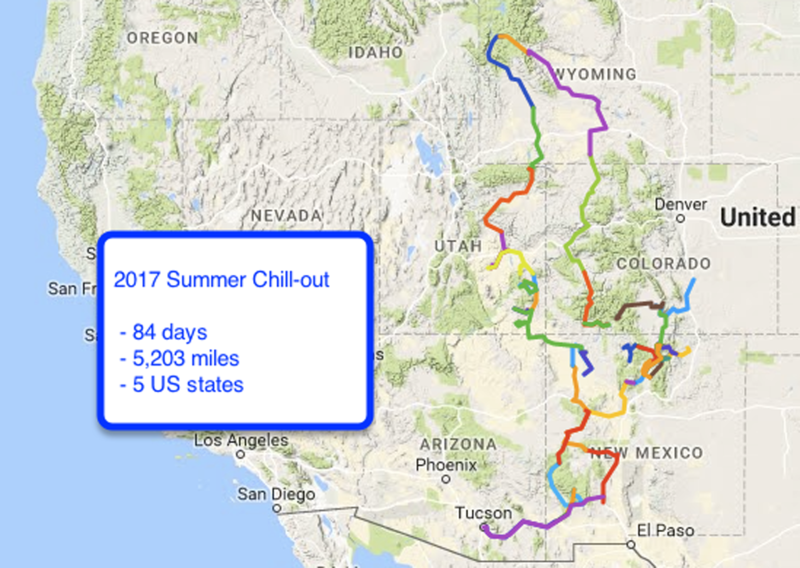 But most of the month was spent looping up, down, and all around northern New Mexico and the area around Santa Fe and Taos. 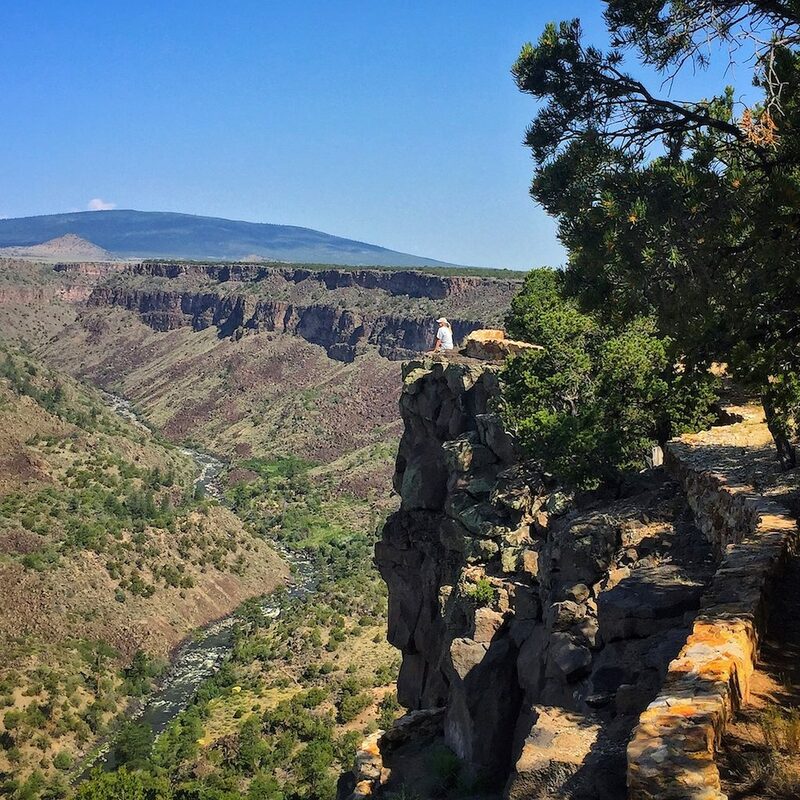 I found myself back at Wild Rivers (Rio Grande del Norte National Monument) a few times, since I like it so much that every time I went near, it drew me in with its powerful magnetic force. I’m pretty sure I’ll be back there again someday, perhaps for some backpacking! This was a tough decision…. 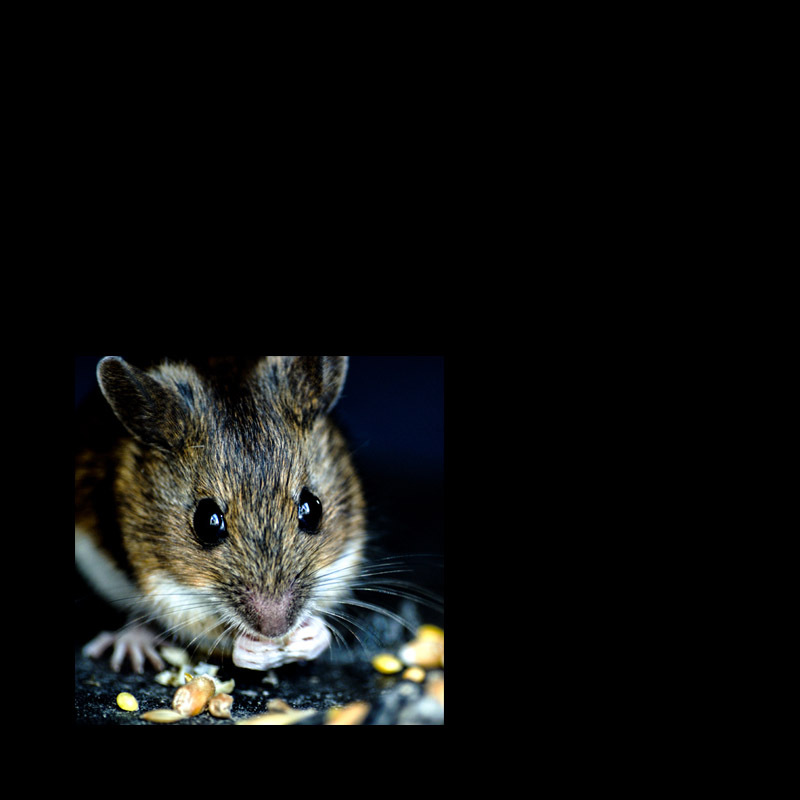 I had a real battle on my hands to get rid of the mouse in my RV. And once I finally got rid of the first mouse, another appeared a couple of weeks later, and then another less than a week after that! Gila National Forest. This is a large national forest in southwestern New Mexico, and it’s one of my favorites. It’s high enough to be significantly cooler than the lowlands, though there aren’t the altitudes you see in Colorado. The Gila River and its branches run through, and there are many miles of hiking trails to explore. 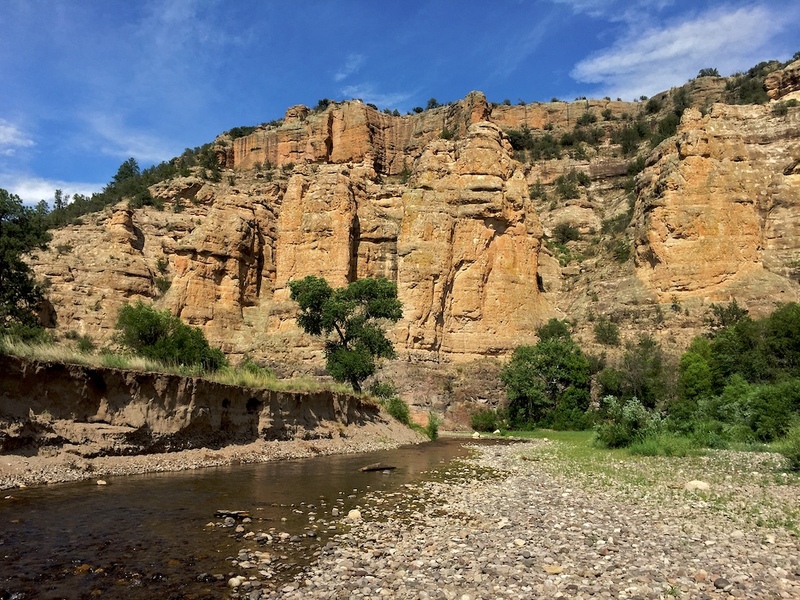 A few of the places I camped in the Gila were Cattlemen Trail, The Forks, and Apache Creek. 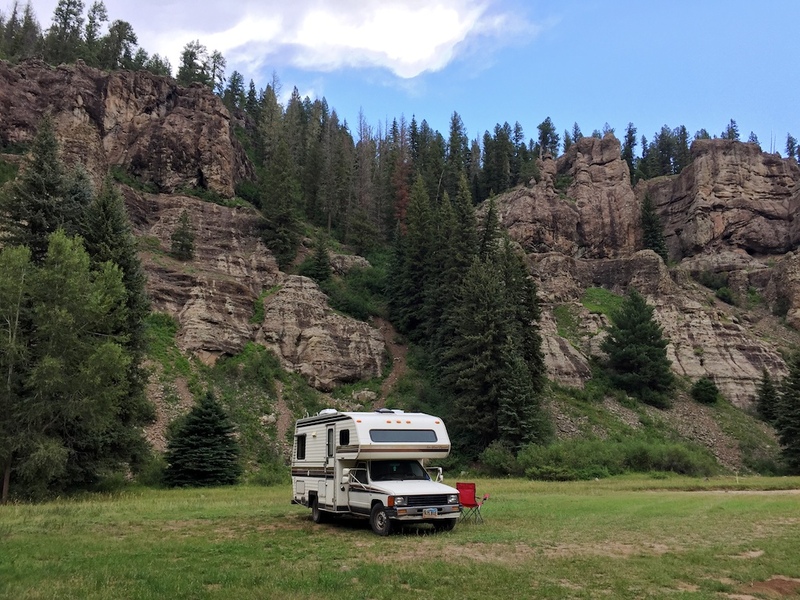 Carson National Forest. This forest covers a large swath of northern New Mexico, and I looped around it a few times. The High Road from Santa Fe to Taos passes through this forest, and much of the area north of Taos is part of it, too. The mountains are higher up here, and once again, there’s enough here to explore that it could take forever. 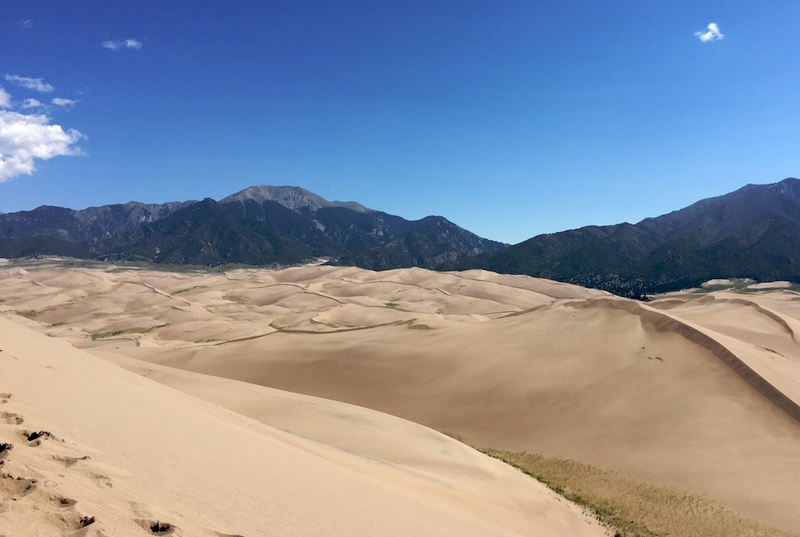 Great Sand Dunes National Park. When I think of Colorado, I see snow-capped peaks of the Rocky Mountains. But oddly enough, in this one portion of the mountain chain, the area below the peaks is full of giant sand dunes. These look like they should be in the Sahara, not the Rockies! It’s a unique and special place, and certainly worth a visit. Grand Teton National Park. Simply spectacular! I’d only been here in the winter before, so this was my first chance to get up close and personal with the mountains and do some hiking. Even if the eclipse had been rained out as I feared, it would have been worth the trip up here just for the hiking and wildlife viewing. I saw moose, bear, bison, coyotes, deer and antelope. The mountains themselves are stunning, and it was some of the most gorgeous hiking I’ve done in years. 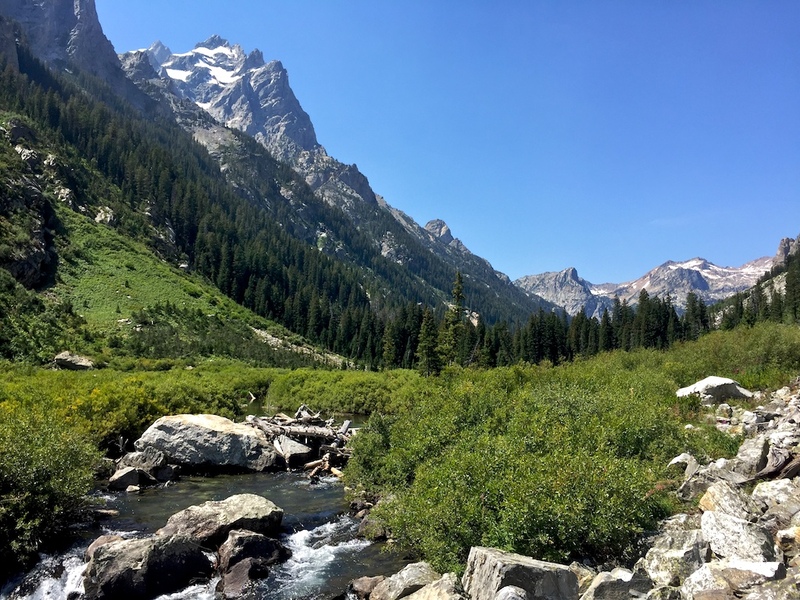 Hiking in Grand Teton National Park was simply stunning! Canyonlands / Bears Ears. I talked about these above, and don’t have much more to say except that they are amazing! I believe that the special features of Bears Ears deserve the National Monument protections that they currently have, and I’m so sad that it seems it will be dismantled soon. I’d rather see these beautiful places protected for the public’s enjoyment, wildlife and historical preservation, and future generations, than opened up for mining companies. I’m just glad I got to see it before that happens. Wow! I have been planning a summer road trip for me and my two kids, and when I look at your map, I laughed at loud at how similar yours and mine are! We are heading up to Santa Fe, then Great Sand Dunes, meandering around Colorado for a bit, eventually getting to Grand Tetons, then back down through Utah (we’re going to Capitol Reef and Bryson Canyon Natl parks because the elevation should keep them cooler, at least at night!). Glad to see you enjoyed it! Thanks for your comment! I had to laugh when I read your comment about laughing about our similar plans. 😀. You definitely have some spectacular places on that list, and I’d say the trip is bound to be a winner!